ST. AUGUSTINE, Fla.—Third Eye Blind and Dashboard Confessional’s U.S. tour will bring them to The St. Augustine Amphitheatre, on July 17. It will begin at Jacobs Pavilion at Nautica in Cleveland on May 29 and it will draw a conclusion at Nob Hill Masonic in San Francisco on July 26. Stephen Jenkins is the lead vocalist, rhythm guitarist and keyboardist, Brad Hargreaves is the pianist, backup vocalist, Kryz Reid is the lead guitarist and plays the synthesizer and Alex LeCavalier is the bassist of Third Eye Blind. Jenkins and Hargreaves are also the drummers and percussionists. Hargreaves, Reid and LeCavalier are the backup vocalists. Hailing from San Francisco, Third Eye Blind emerged in the music scene in 1993. During their career, they released four albums. The first was self-titled, in 1997. They followed with “Blue” (1999), “Out Of The Vein” (2003), “Ursa Major” (2009) and are currently working on their fifth album. In the 1990s, Third Eye Blind became multi-platinum selling artists. Songs including “Semi-Charmed Life”, “Jumper” and “How’s It Going To Be” reached the Top 10 on Billboard’s Hot 100 chart and “Never Let You Go” peaked in the Top 20. The live version of “Anything” is available for free download on their website. Chris Carrabba is the guitarist and vocalist, Scott Schoenbeck is the bassist, John Lefler is the lead guitarist and backup vocalist and Mike Marsh is the drummer and percussionist of Dashboard Confessional. Carrabba and Lefler are the pianists. Dashboard Confessional will return to their home state of Fla., performing in three cities of the Sunshine State. During their career—they released six studio albums, one live album, one compilation album, 11 singles and five EPs. 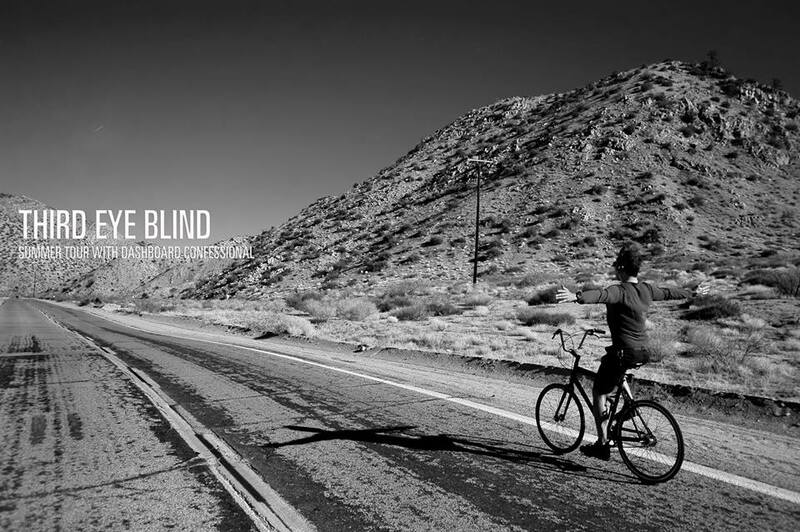 To visit Third Eye Blind’s website, click here. To “Like” them on facebook, click here. To follow them on Instagram, click here. To follow them on twitter, click here. To subscribe to their channel on YouTube, click here. To visit Dashboard Confessional’s website, click here. To “Like” them on facebook, click here. June 2 - Walmart Amphitheater - Arkansas Music Pavilion, Rogers, Ark. June 5 - House of Blues, Lake Buena Vista, Orlando, Fla.
June 6 - Bayfront Park Amphitheater, Miami, Fla.
June 7 - St. Augustine Amphitheater, St. Augustine, Fla.
June 9 - Red Hat Amphitheater, Raleigh, N.C.
June 10 - Upton Amphitheater at the Music Factory, Charlotte, N.C.
June 12 - Foxwoods Resort Casino - Grand Theater, Mashantucket, Conn.
June 13 - Stony Pony Summer Stage, Asbury Park, N.J.
June 25 - DTE Energy Music Theatre, Clarkston, Mich.
June 30 - Sumter Amphitheater, Papillion, Neb. July 6 - Uptown Theater, Kansas City, Mo..
July 17 - Vina Robles Amphitheater, Paso Robles, Calif.
July 18 - Harrah's Rincon - The Events Center, Valley Center, Calif.
July 19 - Verizon Wireless Amphitheater, Irvine, Calif.
July 22 - Marymoor Park, Redmond, Wash.
July 23 - Cuthbert Amphitheater, Eugene, Ore.
Sareth Ney is a freelance concert journalist for the Wu-Man Chu Chronicles. It is a division of A Quarter and Dream Pictures. He earned his Bachelor of Science degree in Mass Communications and Center for New Media from Colorado State University-Pueblo. After graduating—he continued his four year apprenticeship with master of horror, Clive Barker. In California, he met members of the Wu-Tang Clan. He became the journalist/superhero, Wu-Man Chu. He inducts everyone into his hall of fame, his goal is to write 150 articles in select time zones and he is the founder and co-host of No Cover Podcast.